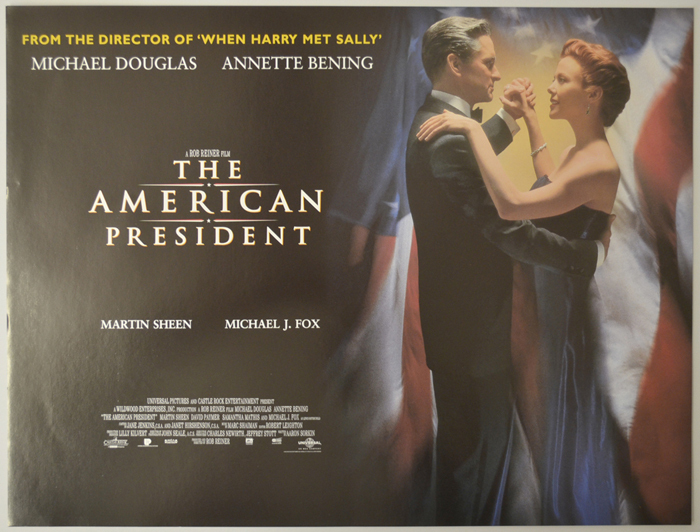 Michael Douglas, Annette Bening, Martin Sheen, Michael J. Fox, Anna Deavere Smith, Samantha Mathis, Shawna Waldron, David Paymer, Anne Haney, Richard Dreyfuss, Nina Siemaszko, Wendie Malick. Very slight creasing/edge wear on the left edge, very light vertical wave down through the center, otherwise very good. Original Mini Quad Poster (12 x 16 inches) Never Displayed. Stored Flat since year of release.